their technical assistance to determine the validity of Clifford's claims and assess his permit and archaeological methods. UNESCO has since determined that the methodology and diver team employed by Clifford does not comply with the standards set by the Scientific Council of the UNESCO Convention. Minister Rocourt also pointed out that although Clifford had announced to the public that he had discovered this site, it had actually previously been studied by the University of Florida back in the 1970s-80s. 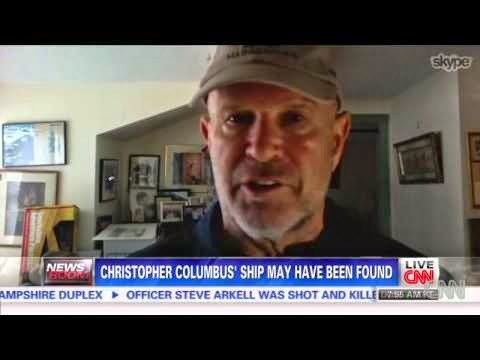 Maritime archaeologists – trained academics and scientists - who don’t harbor the same focus on profit and fame over proper research, would have done their due diligence by conducting a full research analysis and likely have left Christopher Columbus out of the equation, until there was concrete proof of this allegation. As to the 'state of emergency' invoked by Clifford concerning this site, the Haitian Government and UNESCO have also rejected this claim, as the wreck remains protected by the natural elements and sediments, meaning immediate danger is not imminent. Doing a full excavation would do more harm than good in both the short and long term. The Council has cautiously recommended that some archaeological fieldwork will continue on this site but only under the auspices of UNESCO's technical assistance. Their team will likely survey the site in August of this year. This is an example of what many maritime archaeologists face - their efforts are not only focused on research but on struggling to counteract the claims and extensive financial flows of treasure hunters worldwide. It is governments in the developing world that need to recognize the difference between claims of grandeur and hard scientific fact. Even small decisions to restrict actions by alleged archaeologists; help foster a scientific and knowledgeable environment. This illustrates a trend in American sensationalist media where only the exciting or provoking news is made public, while the follow-up stories that are grounded in reality, are forgotten or dismissed. If the American public were able to know about why Clifford's permit was revoked or why treasure hunters and archaeologists are ethically at odds, it would foster a new thoughtful perspective on cultural resources management and site preservation. The media is an integral part in spreading awareness of issues surrounding our cultural resources.